Nolan Krull attends RuPaul's DragCon in NYC! RuPaul’s Drag Race is the little show that could – and did! The show premiered in the United States in February 2009 and has certainly come a long way from its very humble beginnings as a reality drag queen contest searching for “America’s next drag superstar” with an arguably small budget and an equally small audience. The show that celebrates Charisma, Uniqueness, Nerve and Talent and promotes self-love above all else (“If you can’t love yourself, how in the hell are you gonna love somebody else?”) with copious helpings of shade and drama in between, has become a global pop culture phenomenon. The ratings (and the wigs) are higher than ever. Before moving to VH1 the show was the highest rated programme on Logo TV while season 10, which aired on VH1 and concluded in June 2018 with an epic lip sync battle, cameos by queens from previous seasons and a pearl-clutching butterfly blunder, was the most-watched season in Drag Race history (or rather, herstory) with approximately 723 000 viewers in the US alone. RuPaul’s Drag Race has also received high praise and official recognition from the best in the entertainment industry. Drag Race has been nominated for 23 Emmy Awards and won nine. Its iconic host and matriarch, RuPaul, has won Outstanding Host for a Reality or Reality-Competition Program three years in a row while the show itself won its first Emmy for Outstanding Reality Competition Program this year. 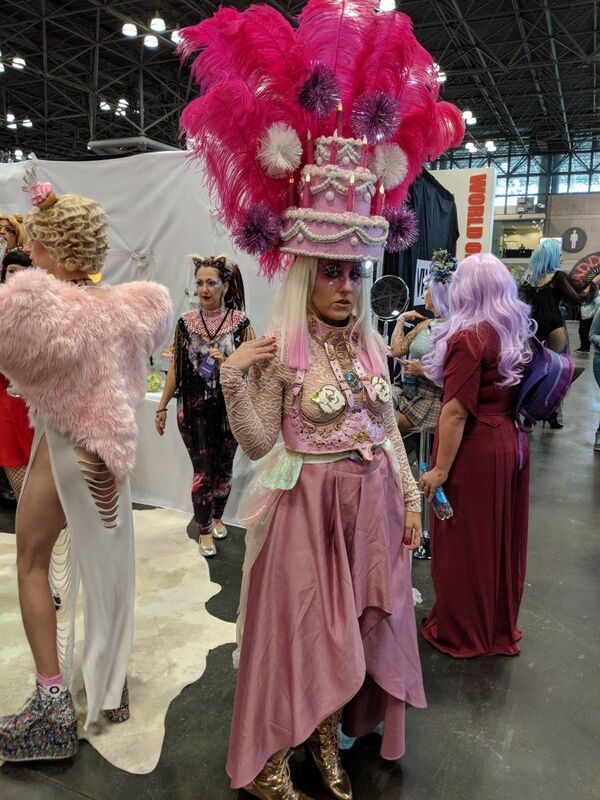 All the colours of the rainbow – and then some – were on display at this year’s DragCon New York City, held at the spacious Javits Center in midtown Manhattan. The top floor of the convention centre was transformed into a colourful cornucopia of wigs, heels, glitter, clacking fans and wall-to-wall merchandise. A long, pink plush carpet, with a replica of Ru’s Hollywood Walk of Fame star in the centre, welcomed guests to the space, which was cleverly divided into lanes named after some of the most quintessential references to the show’s past and present, including Death Drop Alley, Backroll Boulevard, and my personal favourite, Stacey Layne Lane (after Stacey Lane Matthews from season 3). There were also numbered signing booths for some of the show’s most iconic queens, including Eureka, Kameron Michaels, Alyssa Edwards, Katya, past winners Sasha Velour and Bob the Drag Queen, and this year’s winner, Aquaria. 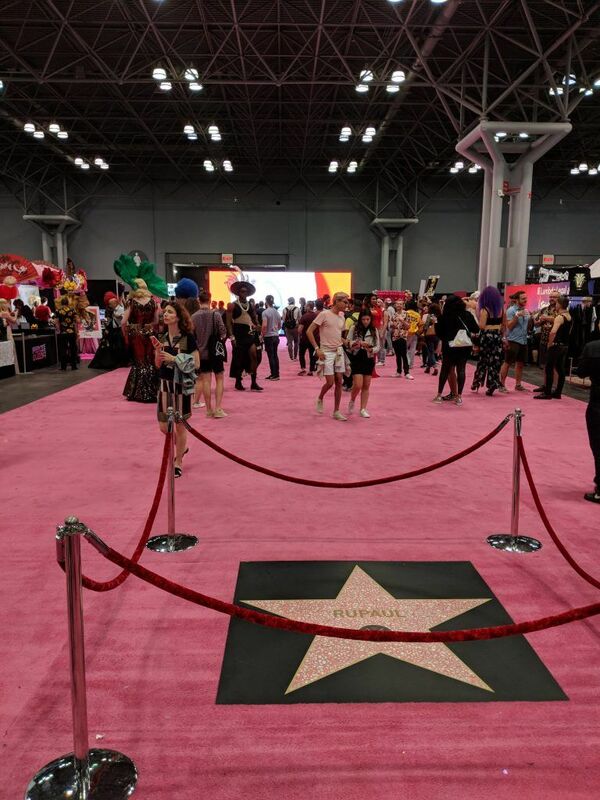 Besides getting to meet some of the contestants and have your picture taken with them, visitors also had the opportunity to attend a number of panel discussions in which queens weighed in on a host of topics and issues, including: morning makeovers from Blair St. Clair and Nikki Blonsky, a “Fashion Photo Ruview” with Asia O’Hara and Mayhem, the extremely popular “Alyssa’s Big Secret: Discussion With a Dancing Queen” in which Alyssa Edwards discussed her new Netflix series, Dancing Queen and a discussion on whether drag can be taken seriously in the music industry, featuring Dusty Ray Bottoms, Jiggly Caliente, Shea Couleé and Mitch Ferrino. 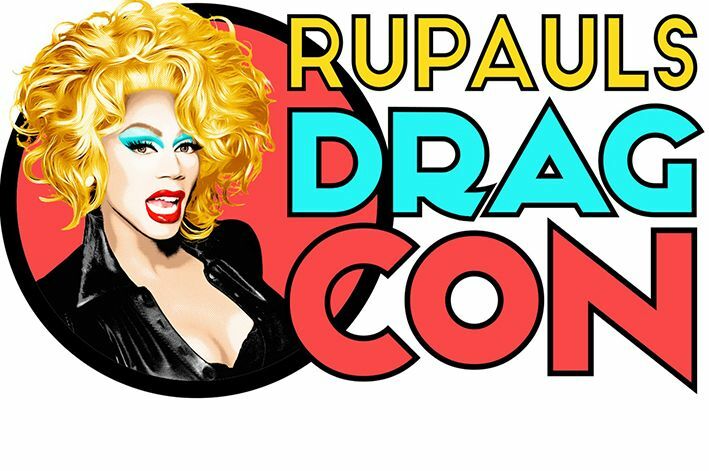 One of the many, many things I loved about DragCon 2018, was the fact that, in line with the show’s philosophy, it embraced everyone, regardless of age, gender, body type or orientation. It encouraged visitors to let down their hair (or tease it up as the case may be) and release their inner artist or queen or diva or whatever the hell they wanted by dressing up for the event. The creativity and artistic flare on display were incredible and often it was impossible to distinguish between professional and amateur queens. It was heart-warming to see what so many people still consider “abnormal” not only being normalised but celebrated. It is clear that the show and its stars are more than part of a highly profitable empire; they are also changing perceptions and changing lives and providing entertainment like no other in the process.